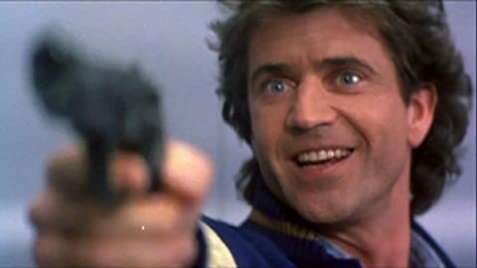 1989 Best Movies - By: W.R.
Martin Riggs: Hey, did anyone ever tell you if you sit on the rocks too long, you get piles? Come on, lets get out of here. Q: Could Riggs have pulled out the stilt of the house with his truck? Q: Is 'Lethal Weapon 2' based on a book? Riggs and Murtaugh now face a bunch of south African criminals hiding behind their diplomatic immunity. The duo have to fight for their right to fight back, as the criminals declare war on the cops, and arouse the lethal weapon in Riggs. The introdction of Joe Pesci's character is a little annoying at first but it soon grows on you and he adds a focus for the comedy element. Richard Donner again directs the cop duo and again we have a movie well worth watching. 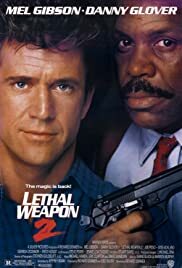 Plenty of action, a few more laughs and a lethal weapon that is still just as sharp, all combine to deliver another great outing for Riggs and Murtaugh.